Dinner at 6:00 pm with guest speakers | Live Auction 8:00 pm | Emerson Drive 9:00 pm. We will be honoring Heather Pick and all donations to the Stefanie Spielman Fund For Breast Cancer Research will be made in Heather's memory. We will be hosting a silent and live auction. Tickets are also available at the door the night of the event. Doors open at 8pm. 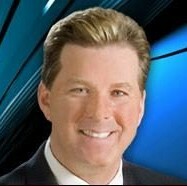 Cabot Rea is co-anchor of NBC 4 at 5 pm, 6 pm and 11 pm with Colleen Marshall. Cabot joined NBC 4 in 1985 as a weekend sports anchor and features reporter. Cabot graduated from Otterbein College in 1978 with a degree in music education. Prior to NBC 4, Cabot was employed as a music teacher for Newark City Schools, as well as a professional singer and actor. Cabot started his broadcast career by working as a radio announcer while attending Otterbein college. He also received a Master's degree in Voice Performance from The Ohio State University in Fall 2003. Among the charities he supports on a regular basis are Children's Hospital, A Special Wish Foundation and the Huntington Disease Foundation. Cabot volunteers his time for Concord Counseling (teen suicide prevention) and serves on the Otterbein Friends of Music Board of Directors. Cabot resides in Westerville, Ohio, with his wife, Heather, and their three children. Joel Riley grew up in Mt. Vernon and graduated from Otterbein College in 1986. 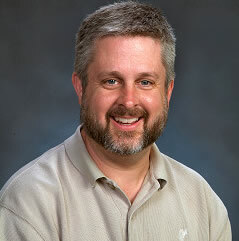 Having made a couple of laps around radio stations in central Ohio, he was hired by 610WTVN in 1994. Since that day, Joel has worked as a producer, executive producer, program director, traffic reporter, sports color man, and talk show host. The Joel Riley show currently airs each weekday 9 am – noon and features the talents of producer Ben Johnson. Joel has been married for 14 years and has an adorable 8-year old son. 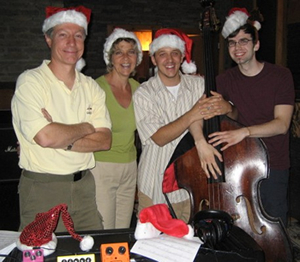 Joel became aware of Christmas to Cure Cancer through Becky Fickel Smith, Otterbein’s Alumni Director, and has offered support each year since. This charity has the unique blend of quality music, efficient management, and real passion to fight and hopefully cure cancer. It is Joel’s pleasure to lend himself to the effort. 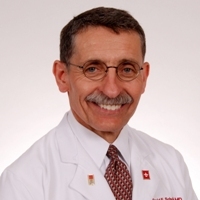 In early 2008, Dr. David Schuller was named Vice President for OSU’s Medical Center Expansion and Outreach, after leading the Ohio State cancer program for 20 years. This new role allows him to focus on the planned expansion of the university’s medical center which will dramatically increase the physical size of its patient care services and enhance the intellectual environment for accelerating research. Dr. Schuller is CEO Emeritus of the Arthur G. James Cancer Hospital and Richard J. Solove Research Institute and Director Emeritus of the NCI- designated Comprehensive Cancer Center. He also serves as Medical Director of the Ohio State University Power to Change Lives Campaign. Dr. Schuller’s academic appointments include being Professor of the Department of Otolaryngology-Head and Neck Surgery. He served as chair of that department for 21 years until he retired from that leadership position in 2005. He specializes in head and neck surgery and facial plastic and reconstructive surgery and served as an American Cancer Society Professor of Clinical Oncology from 1989-94. His current research interests focus on the development of novel therapeutic strategies for head and neck malignancies. Dr. Schuller was the recipient of the first annual John Peter Minton, MD, Hero of Hope Research Champion Medal of Honor awarded by the Ohio Division of the American Cancer Society. Join us to see Grammy nominated and two time CMA nominated entertainers Emerson Drive performing an exclusive acoustic show. 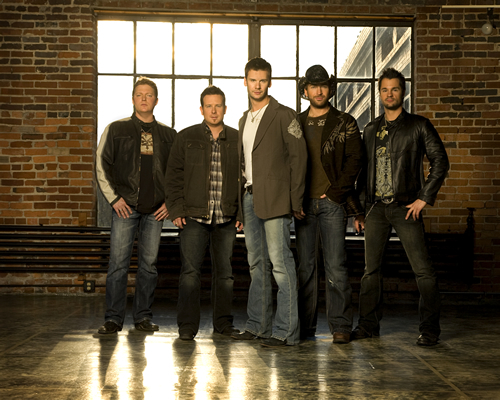 Emerson Drive will be performing their new single to be released in November and songs from their new album due out at the first of the year. Exclusive auction items and memorabilia will be available to bid on in our live and silent auctions. Click Here to see our exciting live auction packages. We've made arrangements with The Conference Center at NorthPointe if you need to stay the night in Columbus. Mention "A Christmas To Cure Cancer" when making a reservation for the evening of December 5, 2008. Rooms are based on availability and are first come, first served basis.